Water Law in Real Estate Transactions Part Two: Conveyance of Water Rights and Due Diligence By Land Title Guarantee Company - Cheryl&Co. This is a two-part technical bulletin on water law in real estate transactions. For Part One, click here. Part One of this Technical Bulletin discussed different types of water rights and how they are regulated in Colorado. Part Two discusses how an owner of a water right can convey it to another party and the due diligence that a prospective purchaser should engage in before purchasing a water right. A water right in Colorado is regarded as a real property interest akin to land for the purposes of ownership and conveyancing. It can be bought, sold, moved and put to different uses without limitation, so long as that change does not injure the vested rights of other water rights owners. One of the most basic features of a water right is that it can be conveyed with or reserved (i.e., severed) from the land on which the water has been used historically. A water right can also be adversely possessed or abandoned in whole or in part if it has not been used continuously. Water rights are conveyed as real property interests using the same formalities as real estate, with certain exceptions. Transfers are done typically with a deed, which is recorded in the clerk and recorder’s office, just as with deeds for land. Conveyance of a groundwater right requires that a “Change of Ownership” form for the well permit be submitted to the State Engineer’s Office. Mutual Ditch Company shares are transferred by completing an assignment form or slip assignment for the stock certificate. The Ditch Company will issue a new stock certificate and record the change of ownership in its stockholder registry. Conveyance of stock should also be mentioned in the vesting deed so as to provide notice in a recorded instrument. When purchasing land with a well or surface right, the water right must be identified and understood so that both seller and buyer can agree on what rights are to be conveyed in the transaction. A buyer must obtain as much information as possible about the water right to ensure that the seller has adequate title to the water right that they purport to own. Recorded documents do not always reveal the full picture for chain of title or conditions of use. Records for water rights are notoriously sloppy and incomplete. Research into the records of the State Engineer’s Office and Water Court is often required. A skilled water law attorney may be required to locate the necessary documents or and to issue an opinion regarding chain of title and use restrictions for a water right. Allow adequate time in the real estate contract for such consultation and research. By law in Colorado, each county is required to have subdivision regulations requiring any developer to provide data, studies, and analyses for their proposed subdivision of land it will create parcels less than 35 acres. The studies are required to include, among other items, adequate evidence that a water supply will be available to each parcel and that the quality, quantity, and dependability of the water supply is sufficient. The law requires counties to provide this data to the Office of the State Engineer, which is required to review the water supply information and issue an opinion regarding injury to other vested water rights and the adequacy of the water supply. Therefore, if you are planning to subdivide a parcel of land less than 35 acres, a water supply report will be required with your subdivision proposal. Paragraph 2.7 of the Colorado form Contract to Buy and Sell Real Estate (Residential) provides for a legal description of all water rights to be conveyed with real estate and for selection of the form of deed, which the parties must negotiate. Parties should consider using one of the four statutory short form deeds that are recognized in Colorado. As with a sale of real estate, the assurances of title received in a water right conveyance will depend on the type of deed used. A General Warranty Deed conveys all title of the seller and warrants that at the time of giving the General Warranty Deed, the seller has good title to the property and was able to convey title to the water right. A diminution of the quantity of the water available would not breach the warranty, but a break in chain of title or a security agreement encumbering a water right would. As with real estate, a General Warranty Deed offers the strongest guarantee that if a problem arises, the seller is obligated to return and defend title in the water right on behalf of the buyer. Because of the sloppy conveyancing in the chain of title and because of uncertainty as to what warranties of title mean in context of a water right, general warranty deeds are rarely used. This is also attributable to the fact that standard land title insurance policies do not insure against defects in title to water rights, regardless of whether the water right was conveyed by separate deed or in the land deed. A Special Warranty Deed warrants that the seller owns the water right and has not engaged in any action to sell or otherwise encumber the water right prior to the time he or she signs the deed. A seller makes no promise for anything her predecessors may have done to encumber or otherwise impair title to the water right. Because a seller is often more comfortable warranting actions taken by herself rather than those of her predecessors, a Special Warranty Deed is relatively common for a water rights transaction. Bargain and Sale and Quitclaim Deeds contain no warranty of title. A Quitclaim Deed conveys whatever title the seller has in the water right at the time of conveyance. A Bargain and Sale Deed passes both present and after-acquired title of the seller. These are also common deeds used for water rights conveyances in Colorado. Regardless of the form of deed used, a full description of all water rights the seller wishes to convey should be included. Information expressly describing the name of the water right; the amount of the water right in rate of flow and volume; the source of supply; the location; the appropriation date; and if decreed, the court case number and date of the decree, or if a well, the well permit number and name on the permit should be in the legal description part of the deed. A seller may also wish to consider explicitly limiting any warranties or representation in the deed as to the effect on the water right resulting from its historical use or any non use, as to its relative priority to other water rights, s to injury by other water rights, or as to its suitability for use by the buyer. If the nature of the water right is not known, one should be as specific as possible with the description in the deed. Language stating the intent of seller to convey with the property all water rights, ditches, reservoirs, springs, well rights, etc. whether appurtenant to the land, or owned by seller, should be used. A skilled water law attorney will assist in drafting effective conveyance language for a deed to a water right. 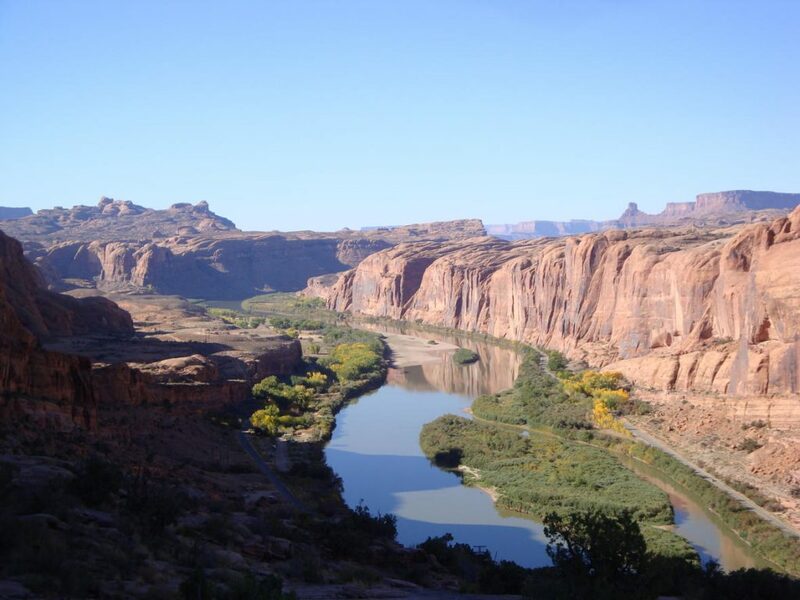 Colorado law provides that water rights can be conveyed together with the land in the land deed without specific mention of the water right being conveyed. This is generally understood to occur under the appurtenance clause of he land deed. If a deed is silent as to water rights and if there is ever a question whether water rights were meant to be conveyed in a land deed, a court would decide the issue. The court must determine whether seller intended to convey the water rights with the land. By considering factors such as whether the water was used on the land and any other evidence of intent of seller to convey the water right. Imprecise, incorrect, or incomplete language used to convey water rights is frequent source of litigation in Colorado. Best practice is to be as specific as possible in the legal description of the deed for a water right. A skilled water attorney should be consulted to draft effective language for conveyance of all water rights that a seller wishes to convey. Once executed, the deed for a water right should be recorded in the county by which the water right is located. Parties may also wish to record a copy of the court decree or well permit as well.